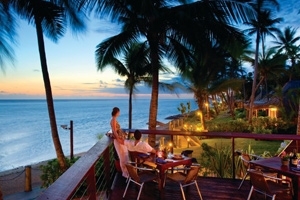 Set your sights on the wonders of the Far East and way Down Under on the memorable holiday escape of a lifetime. 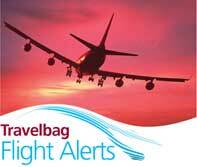 Indulge in the sights and sounds of Hong Kong for 3 nights, marvelling at the majesty of Victoria Peak, experience the fun and excitement of Hong Kong Disneyland and pay a visit to the Tian Tan Buddha before heading south to the buzzing Australian city of Sydney, home of the Sydney Bridge and iconic Opera House. 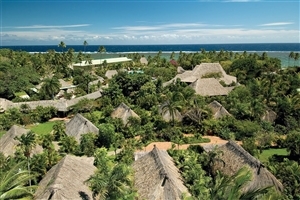 After 4 nights immersed in the bustle of the city, head out to the tropical calm of the island of Fiji, an exotic paradise where cerulean waters and emerald canopies come together in a spectacular visual display. 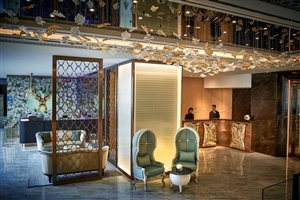 Discover the majestic Hong Kong with a stay at the Cosmopolitan Hong Kong, one of Wan Chai’s most stylish and contemporary inner-city hotels. 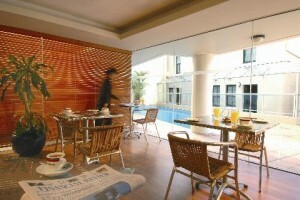 Attractive and trendy, Cosmopolitan Hong Kong offers marvellous levels of quality and comfort, while the personalised customer service will ensure your stay is a convenient and effortless one. 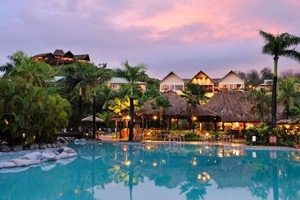 Located in the heart of Hong Kong city centre, with its towering skyline and technological centrepieces, Cosmopolitan Hong Kong is a fitting reflection of this superb destination and is conveniently only an 8 minute walk to the nearest subway. 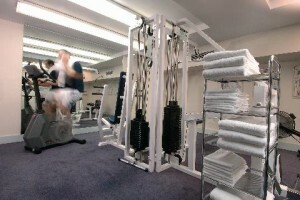 Cosmopolitan Hong Kong is superbly located, between Causeway Bay’s entertainment and shopping attractions, and the commercial district of Wan Chai, grantin most rooms a great view overlooking the Happy Valley Racecourse. 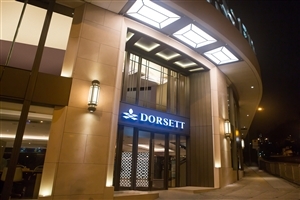 Beyond its advantageous location in the centre of Hong Kong, Dorsett Wanchai, Hong Kong offers impressive facilities and services to complement your stay. 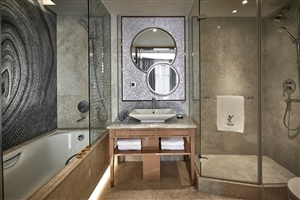 The Standard Room at Dorsett Wanchai, Hong Kong offers effortless chic and elegance that belies its entry-level status. 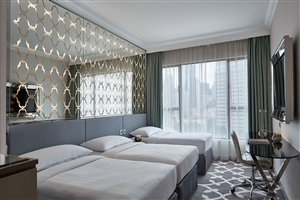 The Superior Room at Dorsett Wanchai, Hong Kong is an excellent value guestroom with its choice of double bed or twin beds, plus a bathtub or a shower cubicle. 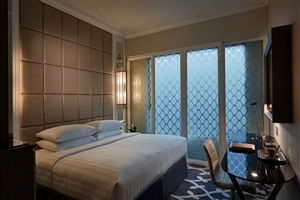 The Premier Room at Dorsett Wanchai, Hong Kong is beautifully decorated with elegant, modern overtones and comfort. 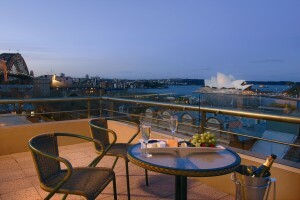 The Grand Deluxe Causeway Bay City View Room at Dorsett Wanchai, Hong Kong is a stunning accommodation designed with numerous comforts and conveniences that also boasts of views looking out over Causeway Bay. 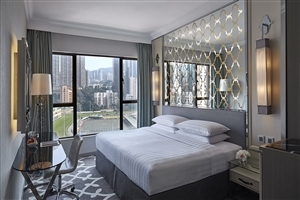 The Grand Deluxe Course View Room at Dorsett Wanchai, Hong Kong is a refined accommodation adorned in a blend of Victorian and Oriental designs that compliment the views looking out towards the Happy Valley Racecourse. 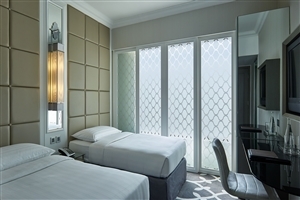 The Deluxe Triple Room at Dorsett Wanchai, Hong Kong features plenty of comfort, style and room to roam, making this the perfect setting for travelling groups and families. 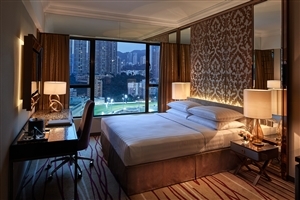 The Deluxe Family Quad Room at Dorsett Wanchai, Hong Kong is available with two double queen beds, accommodation either 4 adults, or 2 adults and 2 children. 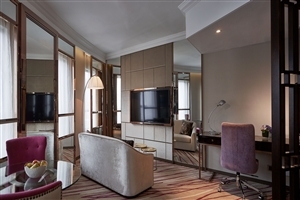 The Executive Suite at Dorsett Wanchai, Hong Kong offers a chic accommodation space which includes a separate living room and bedroom, plus a dining area with a microwave oven. 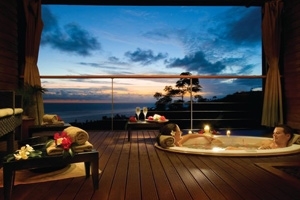 The OSIM Massage Suite at Dorsett Wanchai, Hong Kong includes special touches to distinguish it from other Hong Kong suites, with numerous OSIM-branded massage equipment peppered throughout to help soothe those aches and pains. 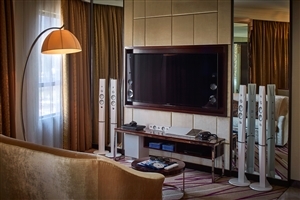 The Sony Suite at Dorsett Wanchai, Hong Kong is a unique getaway fully fitted with a series of state-of-the-art 4K audio-visual home theatre and entertainment system, providing that extra touch for tech-lovers. 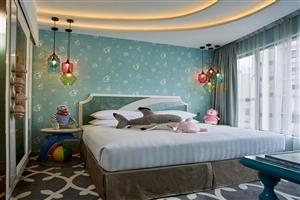 The Ocean Park Family Suite at Dorsett Wanchai, Hong Kong is a visual masterpiece based on Hong Kong's popular marine theme park whose perks and designs are sure to be a treat for the whole family. 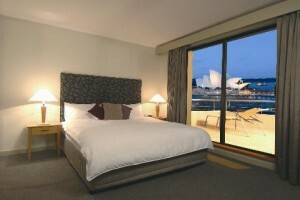 The renowned Rendezvous Hotel Sydney The Rocks is a holiday escape conveniently situated in the heart of one of the city’s main precincts, sharing the surroundings with plenty of entertainment outlets, the central business district and such hotspots as the Sydney Quay and Opera House. 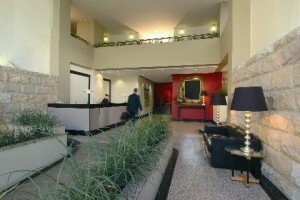 A comfortable haven, the hotel is elegantly designed with the utmost care to ensure guest comfort and satisfaction, sporting a variety of modern technologies combined with spacious areas and stylish decor to create the best possible experience for one and all. 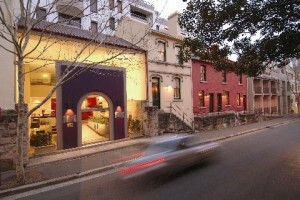 With plenty to do both in and out of the hotel, guests will be spoilt for choice on whether to explore the streets of the city or simply relax in the privacy of the hotel where the facilities and accommodations are all of high international standard; the best setting for an Australian vacation. 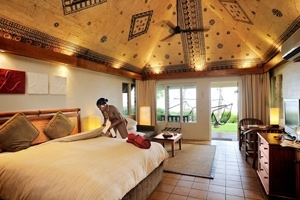 The Studio Queen offers guests a spacious accommodation filled with quality amenities and plenty of plush furnishings. 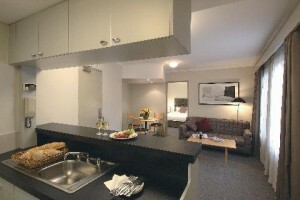 The room features an additional kitchenette. 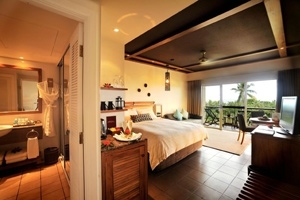 The Studio Queen with Balcony offers guests a spacious accommodation filled with quality amenities and plenty of plush furnishings. 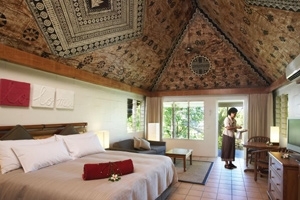 The room features an additional balcony and a kitchenette. 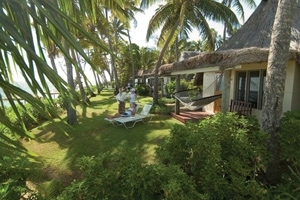 The Historic Terrace Queen offers guests a beautifully designed accommodation that grants plenty of space and just as much in terms of comfort and luxury. 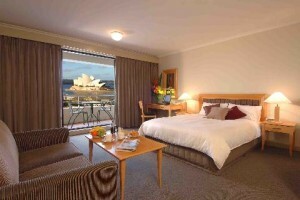 The room comes with a lounge/dining area as well as a kitchenette while some of the rooms include a balcony. 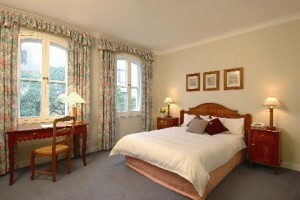 The One Bedroom King Apartment offers guests a wonderfully spacious accommodation elegantly designed with stylish furnishings and modern decor throughout. 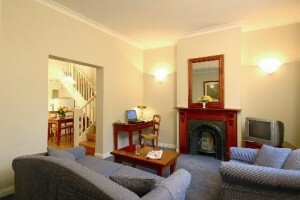 The apartment comes with a lounge/dining area as well as a kitchenette while some of the rooms include a balcony. 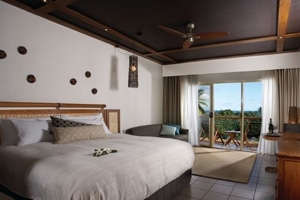 The Studio Queen View offers guests a palatial accommodation that provides a world of space, style and quality in the form of plush furnishings and numerous amenities. 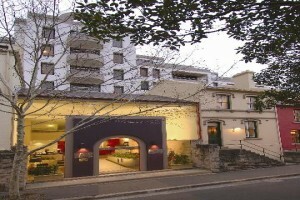 The studio showcases views that overlook the city. 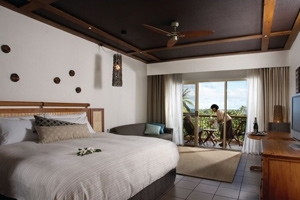 The Studio Queen View with Balcony offers guests a palatial accommodation that provides a world of space, style and quality in the form of plush furnishings and numerous amenities. 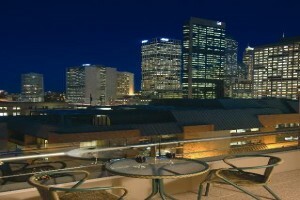 The studio features an additional balcony that showcases views that overlook the city. 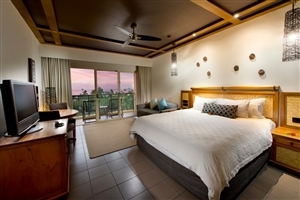 The One Bedroom King View Apartment offers guests a lavishly decorated accommodation fitted with a number of quality amenities accompanied by splendidly plush furnishings. 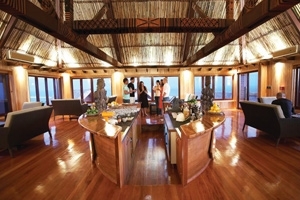 The opulent apartment contains a kitchenette, a lounge/dining area and a private balcony. 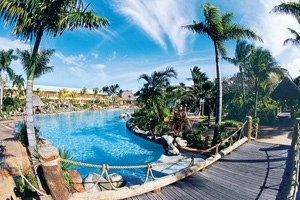 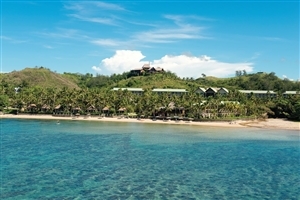 Set on the Coral Coast of the extraordinary Viti Levu island, the Outrigger Fiji Beach Resort is one of Fiji’s most celebrated and decorated five-star resorts. 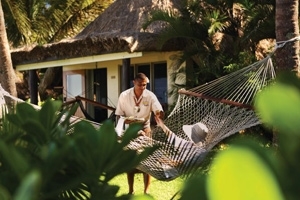 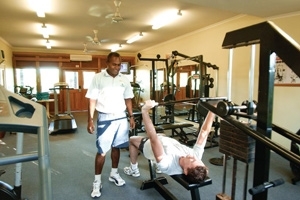 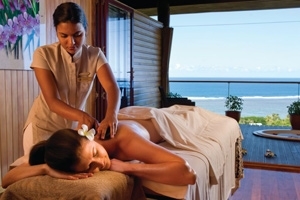 Headlined by its signature Talai service – traditional butler service with a South Pacific Twist -, Outrigger Fiji Beach Resort offers high-quality accommodation, including authentic Fijian Bures (bungalows) either set on the edge or just a few steps from the white sand beach. 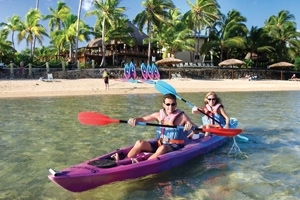 Perfect for couples seeking a romantic holiday they will never forget and those looking to book an exotic break the whole family can enjoy, Outrigger Fiji Beach Resort complements its stunning tropical location with its wide choice of facilities, including the Bebe Spa, swimming pools, tennis courts and a dedicated kids’ club. 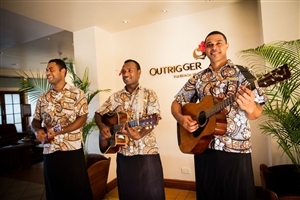 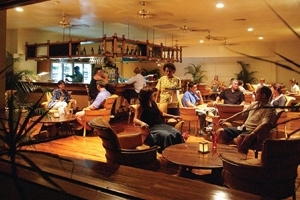 Furthermore, Outrigger Fiji Beach Resort offers a wide choice of award-winning restaurants showcasing the exquisite flavours of this exotic island. 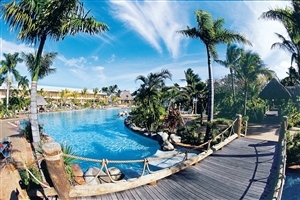 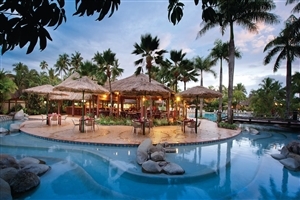 The Superior Resort View rooms at Outrigger Fiji Beach Resort offer 47sqm of accommodation space and are situated within the grounds. 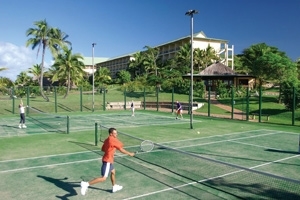 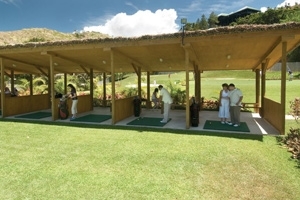 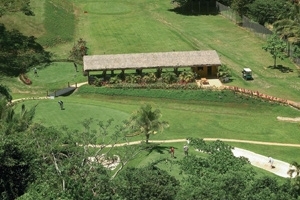 Standard amenities include air-conditioning, satellite television and Wi-Fi Internet access. 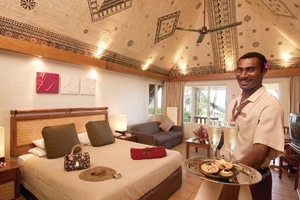 The Deluxe Ocean View rooms at Outrigger Fiji Beach Resort offer 47sqm of accommodation space and overlook the sparkling stretches of the South Pacific Ocean from the private balcony. 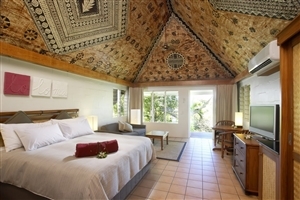 The Ocean Breeze One Bedroom Suite at Outrigger Fiji Beach Resort offer 87sqm of accommodation space, including a separate bedroom and lounge area. 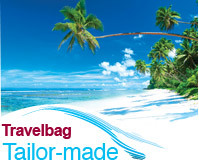 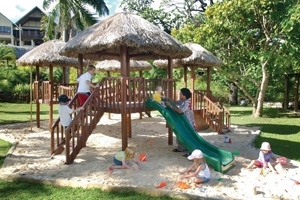 Features include a relaxing outdoor hammock. 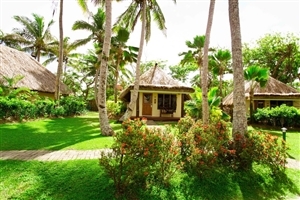 The Plantation Bure at Outrigger Fiji Beach Resort offers 50sqm of accommodation space and is located within the grounds for an authentic Fijian hospitality experience. 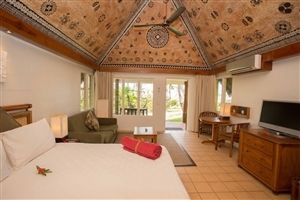 The Plantation Family Bure at Outrigger Fiji Beach Resort offers 116sqm of accommodation space and can accommodate up to 4 adults with 2 children, or 3 adults with 3 children. 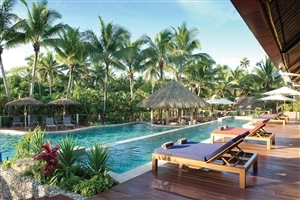 The Ocean Breeze Bure at Outrigger Fiji Beach Resort offers 50sqm of accommodation space and is positioned for stunning views to be enjoyed across the South Pacific Ocean. 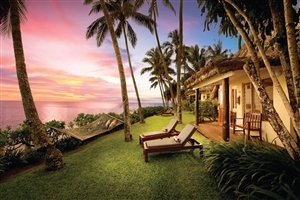 The Beachfront Bure at Outrigger Fiji Beach Resort offers 50sqm of accommodation space and are positioned on the edge of the beach for beautiful ocean views and easy access to the resort’s soft sands.